This past spring, our grocery store was selling these 20 cent seed packets. 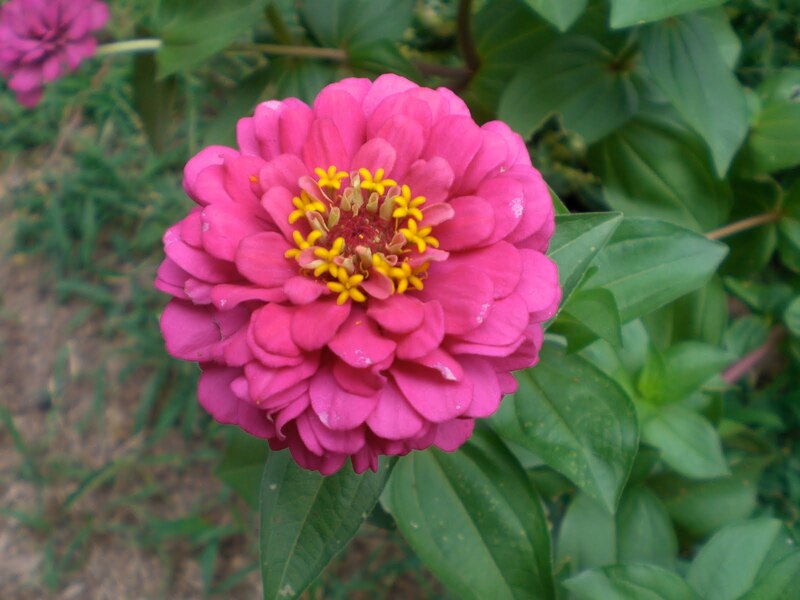 I love zinnia's so I thought I try it to see if they would germinate. What have I got to lose? It's only 20 cents. Well looky here. To my surprise, we got some really pretty blooms! I was shocked, this one plant kept growing and growing. It's huge!! 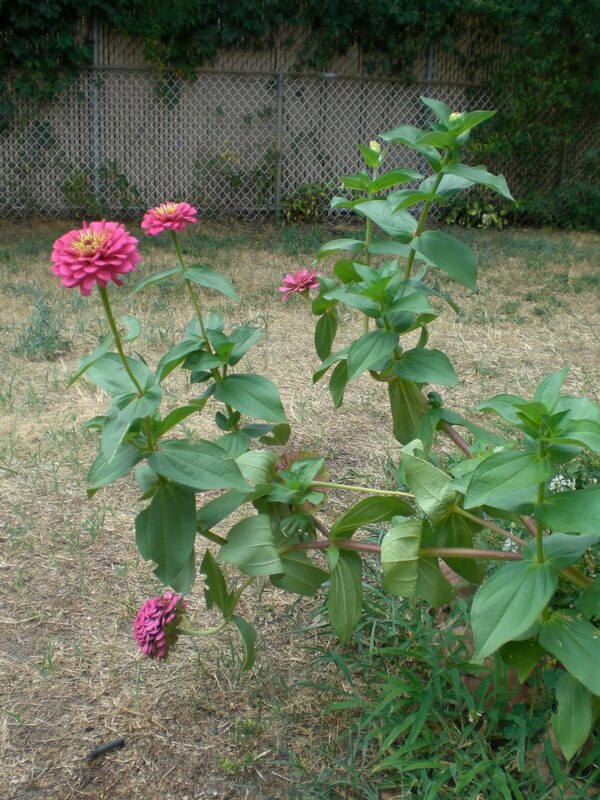 This is one plant, and it's like the size of a small bush! Go figure! Nice return on your investment! I love zinnias. Mine self seed all over the garden and if they fall in the wrong spot, I just move them. This year they are orange and red. I'll have to add some pink ones too, yours look gorgeous! Those are the ones I throw in the cucumber bed! They are so low maintenance and look beautiful, great find for that price! I buy those 20-cent packets, too. 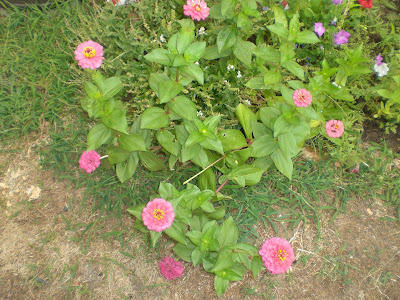 My zinnias are red, and I just love them. I'd have a lot more, but earwigs ate up so many of my plants. Next year, that will be one thing I'll break down and dust with insect killer....but before they blossom, so as not to harm the bees. I got packs of forget-me-nots, sweet williams, morning glory, bachelor buttons, marigolds and lettuce, too. I've found the germination to be around 100% in all of them, and it's not that good in some of the expensive seeds. Now that's what I call .20 cents well spent! 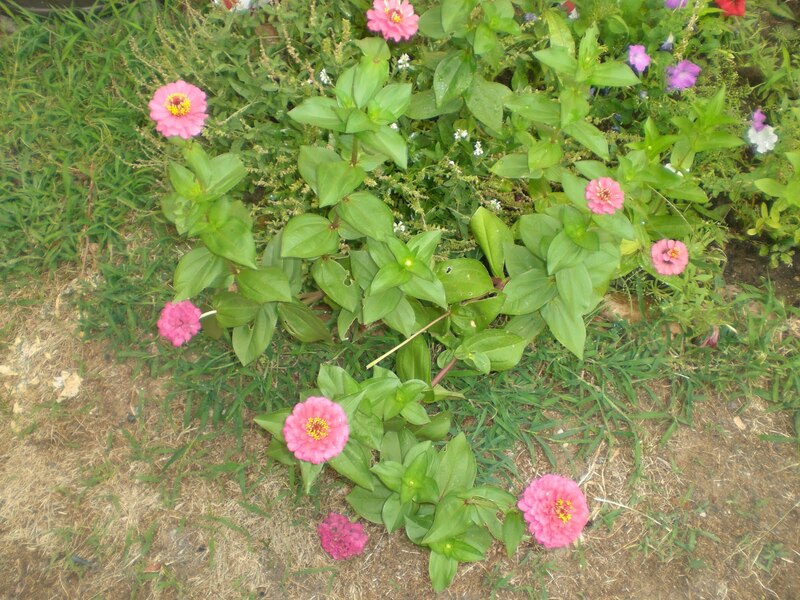 I love zinnias and for some reason didn't plant any this year, but there's always next year. What a bargain! Save the seeds and you can get even more bang for your $.20 - doesn't have quite the same ring to it as "bang for your buck" though. ;) Great flowers for hummingbirds too. That's what makes Zinnas one of my favorite to grow from seed.